Up to 10 editorial jobs are at risk in the latest series of cutbacks by a regional publisher which could also see a newspaper office close. Newsquest has confirmed is planning to cut seven roles in Oxfordshire and Wiltshire, while three are under threat in Essex. 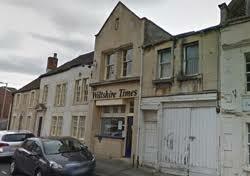 The company’s Trowbridge centre, pictured, home to the Wiltshire Gazette & Herald and the Wiltshire Times, could also shut as part of the proposal, with the company saying the Duke Street premises are “no longer fit for purpose” although it intends to maintain a presence in the town. Newsquest says the changes will allow it to “invest in frontline reporters and content generators”. It is understood the positions at risk in Oxford are assistant editor, features writer and sports writer. In Wiltshire, the roles of sports editor, feature writer, content editor and weekly deputy news editor are under threat. According to a memo sent to Newsquest Essex staff, which has been seen by HTFP, two remaining staff photographers, who cover the north and south of the county respectively, are at risk. A production editor role at Basildon-based daily The Echo is also said to be under threat of redundancy. “A strategic review of the Oxfordshire & Wiltshire editorial departments has placed seven roles at risk of redundancy. We are also considering closing the Trowbridge office which is no longer fit for purpose, although we will continue to have a presence in the town and are reviewing a number of options in this regard. “Separate to this, there has been a strategic review of the Essex region’s editorial departments. This proposal places three roles at risk of redundancy. The Gazette & Herald was previously based in Devizes until Newsquest closed its office there in 2013. The Swindon Advertiser chapel at the National Union of Journalists says the newsroom has been “knocked sideways” by the plan’s announcement. In a statement, it said: “The proposed cuts are being made to an editorial department that is already slashed to the bone following the loss of three subs, a news editor and the web editor to redundancy just before Christmas last year. Since then the newsroom has lost the assistant news editor and the deputy editor to more lucrative and probably less stressful employment in PR. “It was the four members of the features department who were asked to step up and share a large amount of the work previously done by the deputy editor on top of their existing jobs. We are at a loss to know how we are going to cope. It is clear the people behind the decision have no idea just how much the staff in features contribute to the paper. “It is also clear the decision-makers are not interested. Rather than pinpointing individual roles they have focused on numbers. Our sports editor is responsible not just for the Advertiser, but also for the Wiltshire Gazette and Herald and Wiltshire Times sports pages. Content generators? Are they like Twitterhounds? This truly is a WTF moment. Frontline reporters? Seems Newsquest hasn’t noticed, these are leaving in their droves and recruiting content generators, audience content editors, news editors, or whatever they are calling them this week has resulted in slim pickings in newsrooms across the country. Any day now Newsquest’s CEO is going to find he is head of a bunch of newspapers with no staff. If you’ve looked at any local paper anywhere these days, not just NQ, you will have seen the results of the constant staff cuts in the editorial department by the dire content and gathering reliance on UGC these once popular papers are now being filled with. we all know you gets what you pays for, if you want to do it on the cheap you get a cheap looking end product which people are no longer prepared to pay to read, hence the upsurge in web traffic on the sites whose papers have seen the biggest sales losses and where the free reader numbers are growing..
Apart from feeling for the ones about to be shown the door you can’t feel any sympathy for those prepared to sit back and allow the cuts, closures and redundancies to happen,it’s a vicious circle which will soon see more jobs going and more titles closing whilst hopefully the good staff, those already gone or about to, will be settled in to new positions and able to watch the car crash and fall out from a safe distance. So sad but indicative of the state of our newspaper industry – typified by a recent camping trip to Lincolnshire where, passing through, I found no newspaper office presence in the market towns of Boston, Louth and Horncastle. They’re right about the office, looking at the pic. Surely the same could be said and done about Newsquest…..?